I warmly welcome the Ordination today of the Right Rev. Patrick Rooke, Dean of Armagh as the new Church of Ireland Bishop of the united dioceses of Tuam, Killala and Achonry. Having spent the last 33 years working in the North of Ireland I am glad that he will get a chance to minister in the West of Ireland where he has maternal and family roots. His sister Mrs. Brigid Clesham, who lives in Cong is a well know historian in the west of Ireland and has done some excellent work in the past few years on the Tuam diocesan archives. Having had an excellent working relationship with the recently retired Bishop Henderson – I very much look forward to that cordial friendship with the Church of Ireland continuing and to working in close collaboration with Dean Rooke in the future. 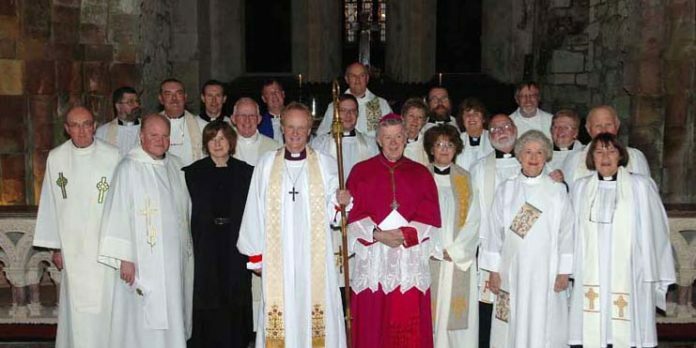 Congratulations, best wishes and every grace and blessing to Bishop Rooke, to his wife Alison and his children Emily, Nicholas and Susana for many happy years of fruitful ministry in the Western dioceses.